Before coming to China I already knew of the Great (Fire)wall of China that blocks “unwanted” webpages but naively I didn’t think it would prevent me from blogging. As I write this post, yukiclothing is still accessible from within China but logging onto my WordPress account to actually write something isn’t possible. Now you’re probably thinking, “What are blabbering about woman? You’ve managed to post this, didn’t you?”. That is true, but the reason is that I’m here on business and I finally got my company computer to access the Internet via Sweden. Now to keep you updated about this awesome trip! It’s a wonder we even made it to Shanghai. First it was the strike and then the airplane that should’ve taken us from London to Shanghai broke down. Luckily they managed to fly in another plane and we were only delayed 2-3h. After passing immigration in Shanghai, we proceeded to the Maglev train that took us closer to the city and the Metro. Before entering the Maglev or Metro, there’s a security check were you should scan your bag. As with many other rules, Chinese people simply ignore them and pass by the security guards like they weren’t even there. And the guards don’t seem to do anything about this either. They just stand there and wave towards the scanner regardless of the people. I wonder if anyone even monitor the scan? The Maglev train was pretty cool and it reminded me of travelling with the Shinkansen in Japan. In each carriage, there was a gauge that showed the current speed of the train. 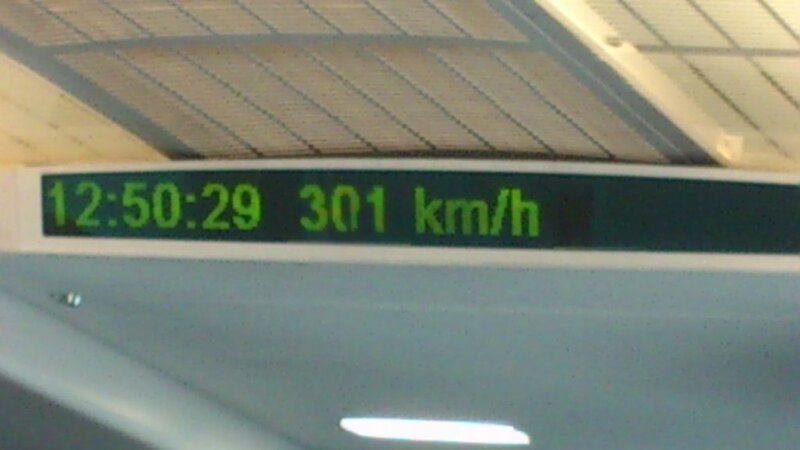 As its highest it reached 301km/h! Categories: Travels | Tags: China, Maglev train, Shanghai, wall of China | Permalink. It feels like you are commuting back and forth to Asia. And I’m not jealous ;-) Have a great stay!